Welcome to Drive Luton Driving School. 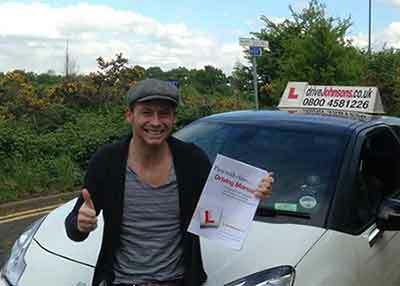 We have been providing automatic and manual driving lessons for over 10 years. If you’re looking for cheap driving lessons and quality driving instruction then look no further than us! We have driving lessons starting from just £10 an hour or save in the long run with 10 lessons for £180. See our prices for all of our available offers. One thing we are very well known for is our intensive driving courses. We have a cancellation checker that can help our customers get earlier tests. Why not try our assessment lesson today and find out how many hours you need to pass a crash driving course and gain your licence in as little as 2 weeks! We only use fully qualified driving instructors and they are all local to the area, so they know all of the test routes – giving you best possible chance of passing first time. Be aware that there are many driving schools that use trainee instructors. Look out for a green or pink badge. Pink means you are learning with a trainee. We have over 10 local driving instructors, providing driving lessons that have a combined pass rate of over 90%. The average pass rate for test is 40%. If you’re looking for a fast first time pass – Look no further than us!